Thousands of miles by dogsled will teach you a thing or two about grit, on and off the trail. Don't miss Debbie Moderow's story and what she learned alone in Alaska's wilderness. 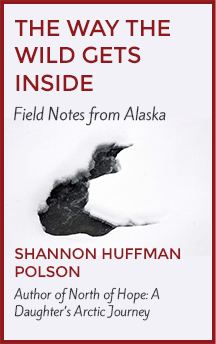 Posted on March 7, 2016 by Shannon Polson and filed under Courage, Grit Profile, Storytelling, The Grit Project and tagged Debbie Moderow Fast Into the Night Dogs Iditarod Alaska Iditarod trail huskies miscarriage Denali National Park Denali Princeton Wyoming Connecticut Grit.